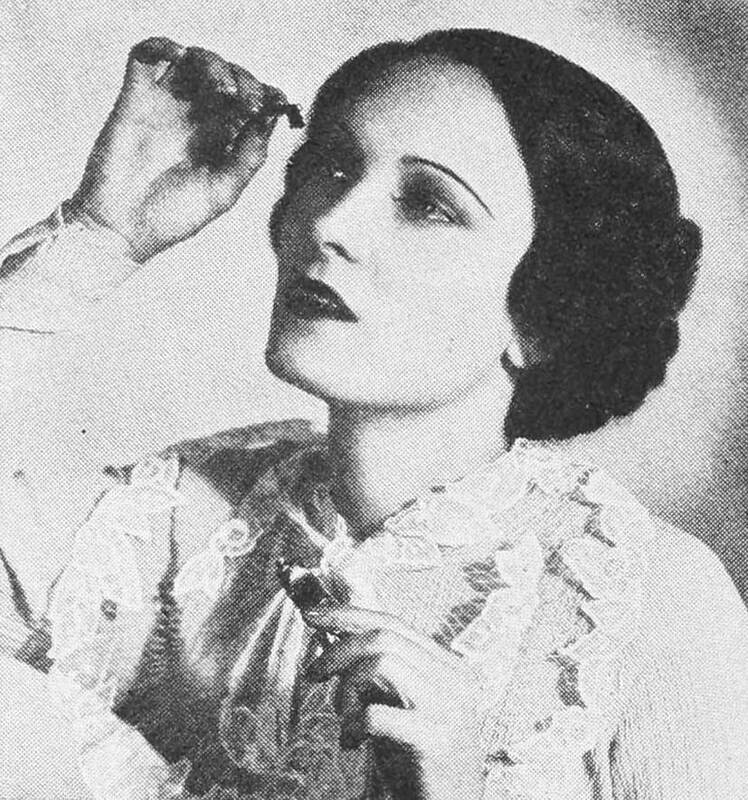 Learn some vintage Eye Beauty Tips of 1935. Pauline Stark‘s blue grey eyes improve with a touch of lash beautifier. 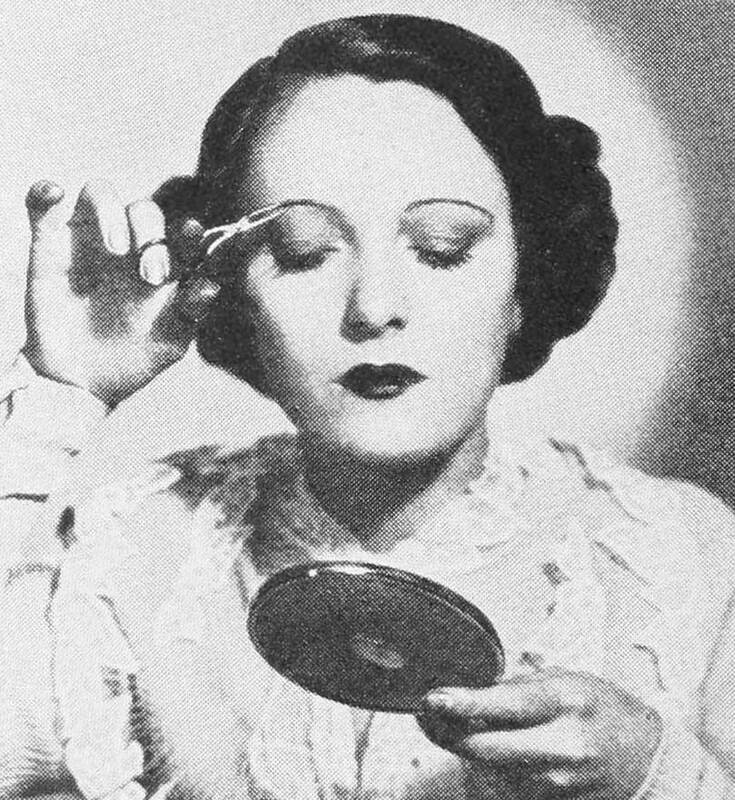 She is using a mustache pomade, recently discovered by screen and stage stars to be good for accenting lashes and for keeping them lustrous and soft. This pomade will not streak or smear ! 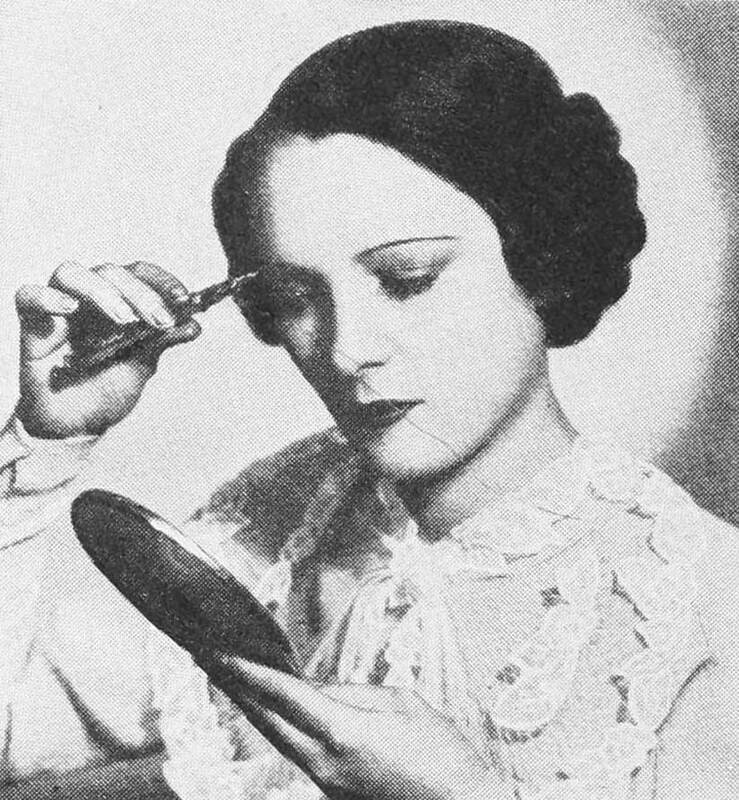 Miss Stark believes that for proper eye beauty, to trim brows will add greatly to the charm of any face. She is careful that hers are always perfect. Preserve the natural shape but remove any hairs that mar the line. Her tweezers are almost painless they work so rapidly. These new tweezers are small, scissors-like affairs, with snipper ends, very easy to manipulate. If you will trim from under side, you will be less likely to destroy the natural trend of the brows.